Omnitrope provides a unique service which guides each of thier patients on their individual path to wellness while stream-lining the process and saving them from endless paperwork and scheduling. 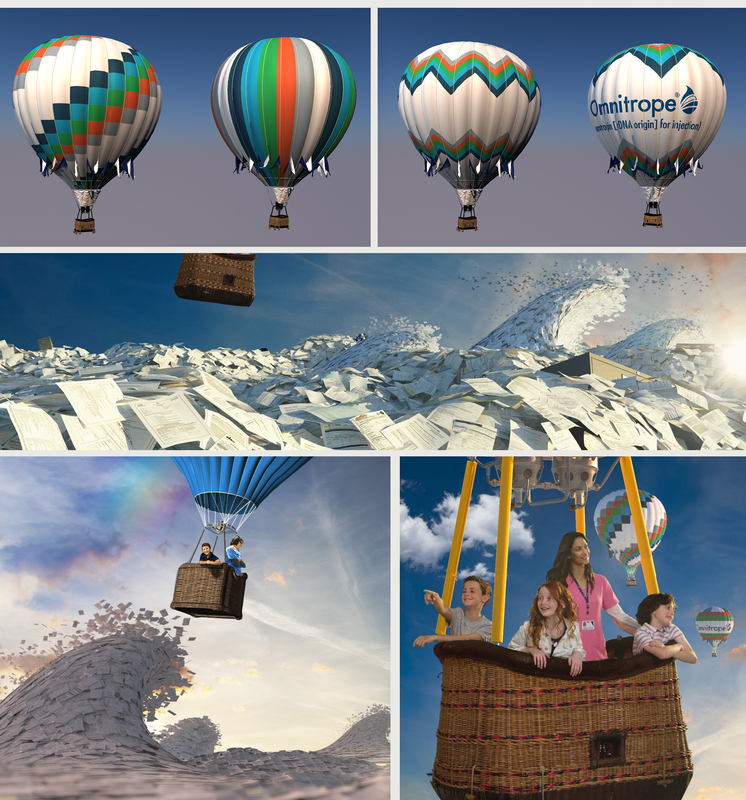 We took a metaphorical approach to the visuals in this spot by placing patients in a hot air balloon basket along with their care-givers who guide them safely on their journey high above and angry ocean of paperwork. Shot on a sound stage in Brooklyn, we assembled the entire cast and crew. Everything but the basket and talent is CG.